What if your school just said "yes" to inclusion? How would students with and without autism benefit? How would you solve the challenges? What do great inclusive schools really look like? Paula Kluth has the answers—and now they're on one powerful DVD that will help make your school an inclusion success story. 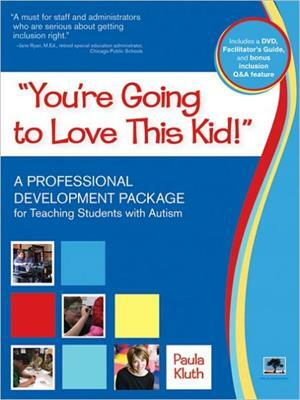 An ideal professional development resource for experienced educators and preservice teachers in K-12 classrooms, this package also includes a concise Facilitator's Guide with sample professional development plans, helpful summaries of teaching strategies, more tips from educators, thought-provoking questions for group discussion, and practical forms and checklists to evaluate practices and plan supports. Say yes to inclusion with this comprehensive guide from Paula Kluth—and help your school become a stronger community where all learners use their unique gifts and achieve their full potential. Beret E. Strong, Ph.D., M.F.A., and John Tweedy, J.D., M.A. are award-winning documentary filmmakers and owners of Landlocked Films. Their films have been seen on PBS nationally and shown at festivals around the world. Their focus is on social justice, indigenous cultures, and education. John is an attorney and Beret is an author and researcher. "The package as a whole is a big plus for any educational library." "Finally! A DVD that not only talks about inclusion, asks the important questions related to the issues of inclusion but also SHOWS us how it is done—in the classroom and in the planning states before the classroom. . . . Paula has made facilitating these workshops fun and easy. . . a MUST HAVE in every school library, college, university, and parent resource centre." "To an educator, having strategies that can be used in the classroom immediately is one of the most important pieces to a professional development video and Paula's DVD does not disappoint. . . I highly recommend Paula Kluth's, "You're Going to Love This Kid!" A Professional Development Package for Teaching Students with Autism in the Inclusive Classroom. . . . After watching her video I am inspired and motivated to continue working toward education for all children, regardless of ability!" "Paula Kluth provides tangible tools that can be easily replicated. Having strategies explained by practitioners and visually demonstrated is an amazing contribution." "Dr. Kluth brings her unique combination of passion, inspiration and practical ideas to life in this exceptional resource . . . Kluth challenges viewers to think critically about their educational practices and find ways to make instruction more meaningful for all students." "This is the kind of professional development experience I would like to have had when I was a classroom teacher! Paula Kluth takes evidence-based practices and puts them into words that support and have meaning for teachers." "Presents a complex topic in a manner that is clear and comprehensible . . . allows all teachers to examine their practice and make changes that enhance the learning of students with autism--and in the end, all students." "Great tools to help teachers as they journey through the process [of inclusion] . . . It doesn't get any better than when we reach ALL children in our classrooms!" "[Paula Kluth] engages teachers and administrators in ways that position them as active and powerful agents for progressive school reform from within their own schools and classrooms." "An essential tool for any educator planning to teach or present on the topic of inclusive schooling . . . I look forward to using these materials in many different ways in university coursework and professional development trainings!" 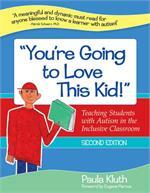 "A must for staff and administrators who are serious about getting inclusion right . . . makes the important point that inclusion is not just about students with disabilities but about recognizing the diverse needs and the value of all students. The only thing that would make this professional development tool better is if Paula Kluth came with it." "Our work with Paula Kluth has created an intense focus on presuming competence of all learners . . . Using the lens of presumed competence, we are breaking down barriers and creating a school system that believes, expects, and acts as if all students can and will learn. Principals have expressed how this lens is changing the culture of expectations in their schools and are thankful to have worked with Paula Kluth!" "Thanks to this new DVD, entire teams and faculties will be have the opportunity to experience Paula's inspiring blend of philosophical and ethical commitment to inclusion and practical strategies that teachers can use to benefit ALL kids . . . I can't wait to share this terrific resource with schools!" "Unique, ground-breaking, and much needed . . . shows the commitment Paula Kluth has to increasing the quantity and quality of inclusive experiences for students with autism spectrum disorders across all grade levels. All teacher preparation programs and school districts should make these materials part of their training on inclusive schools."